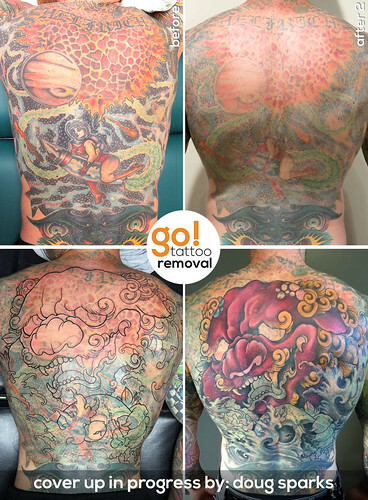 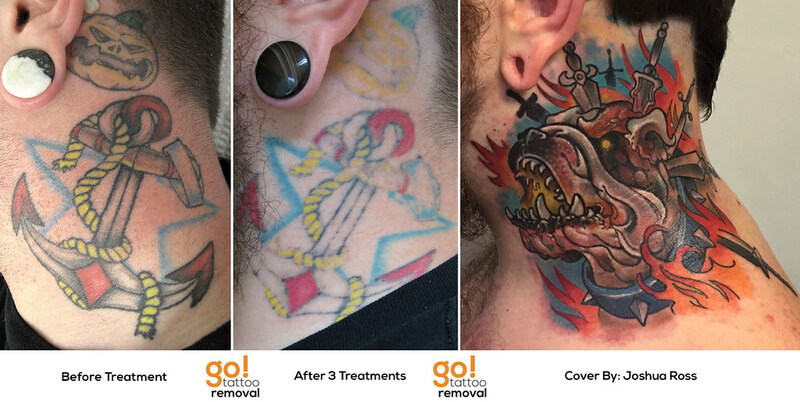 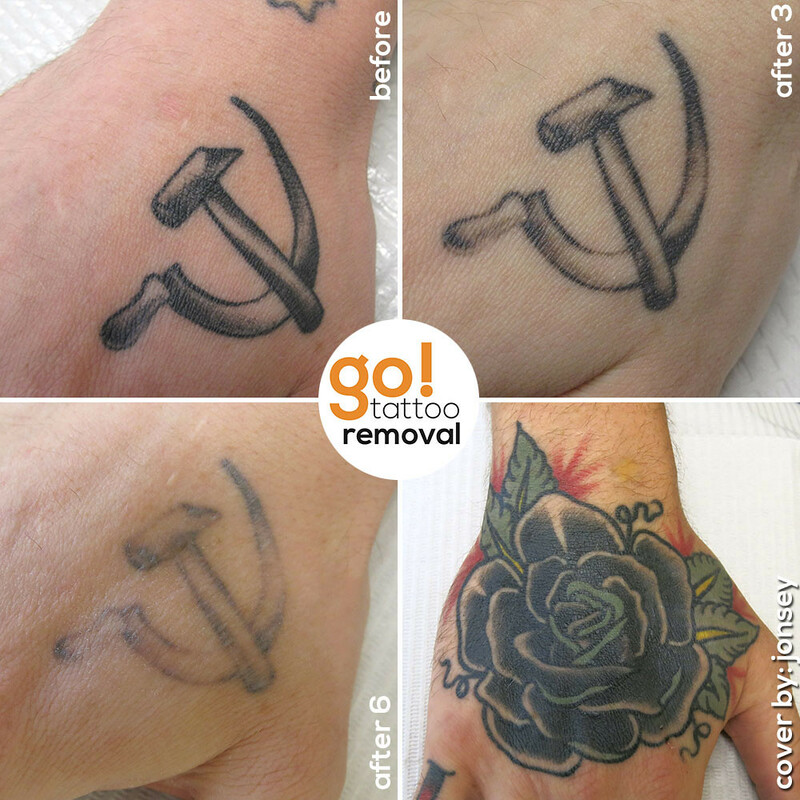 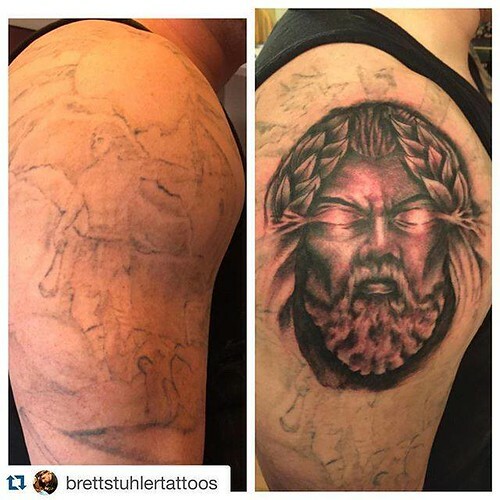 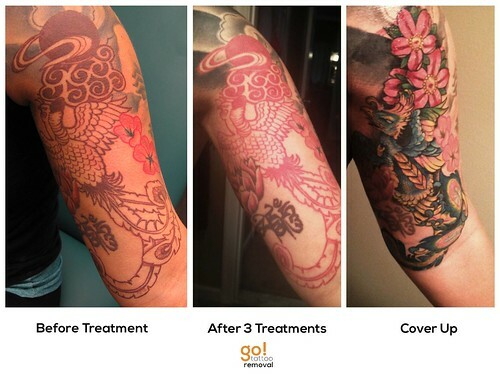 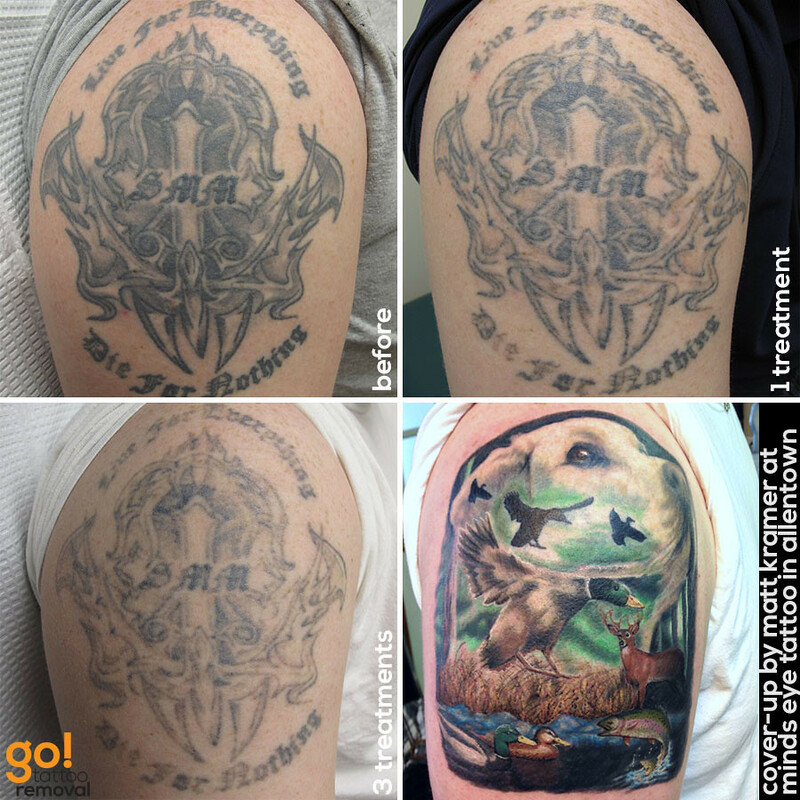 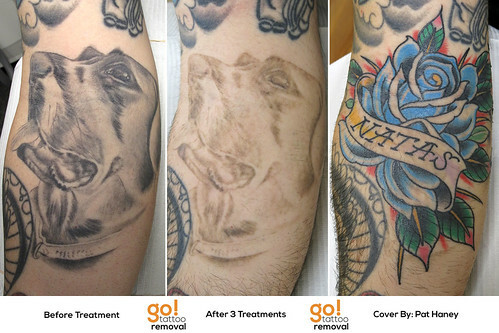 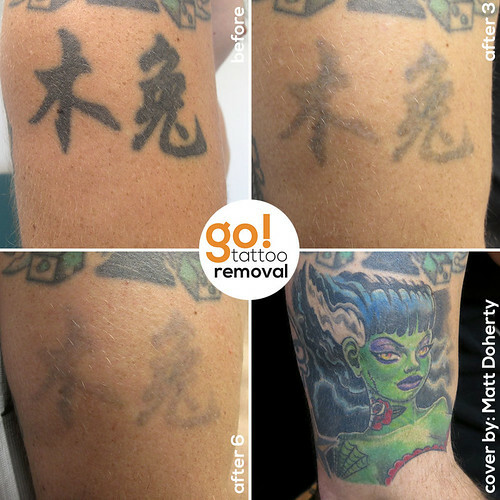 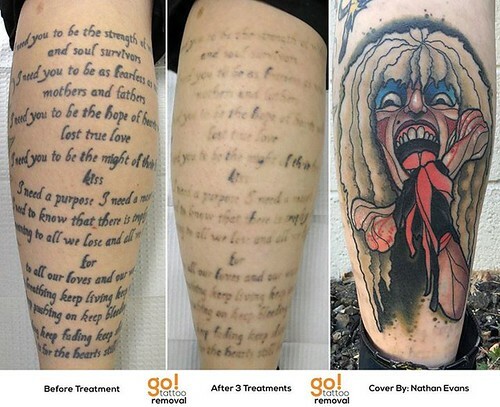 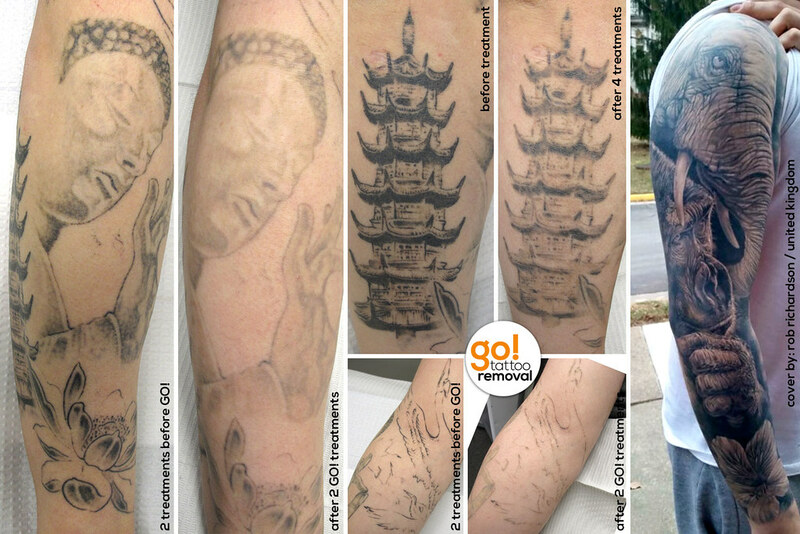 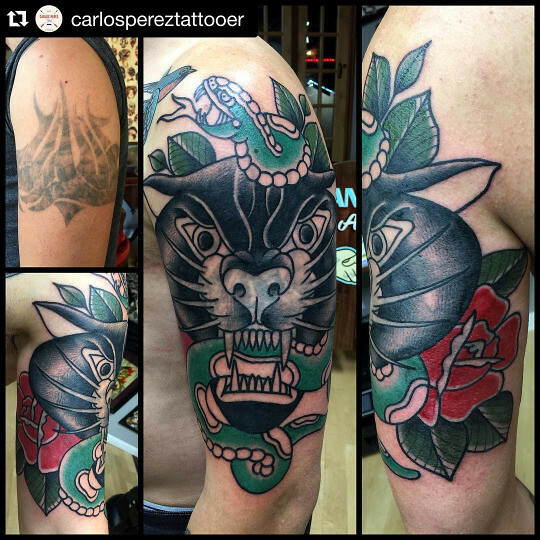 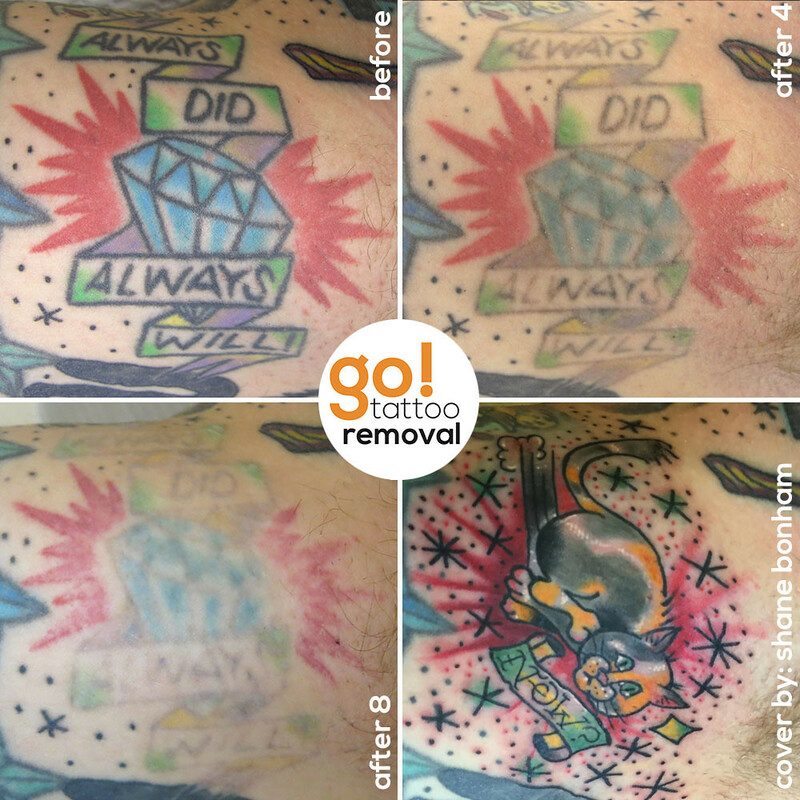 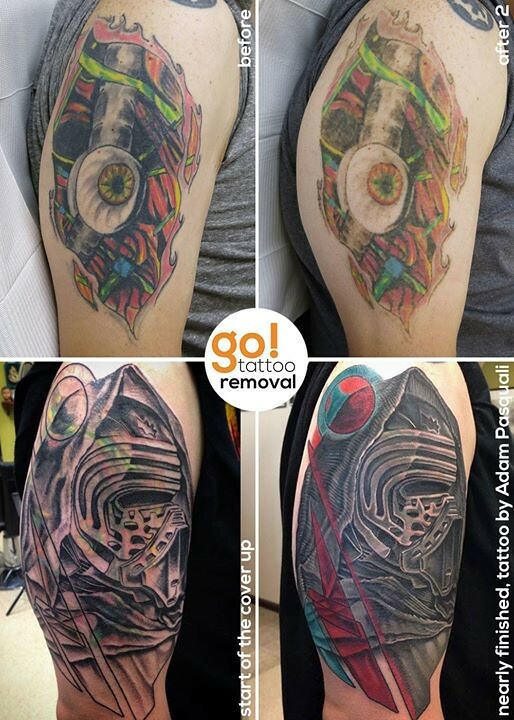 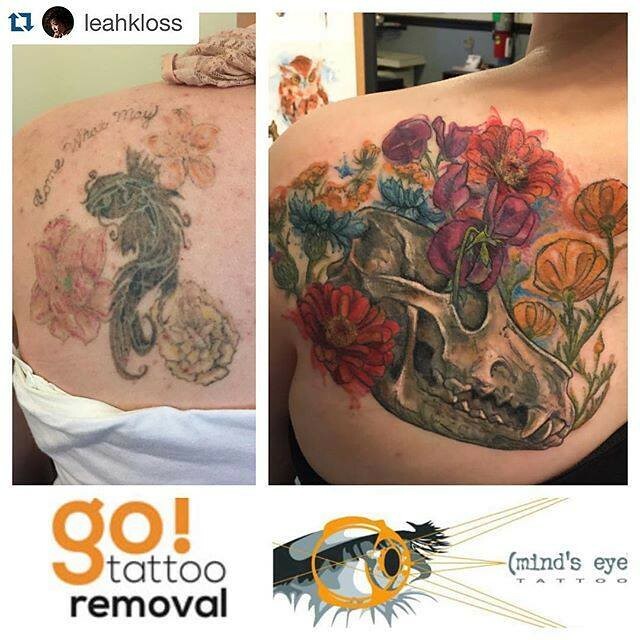 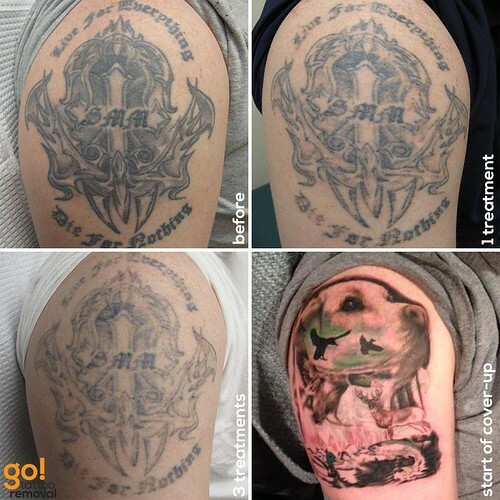 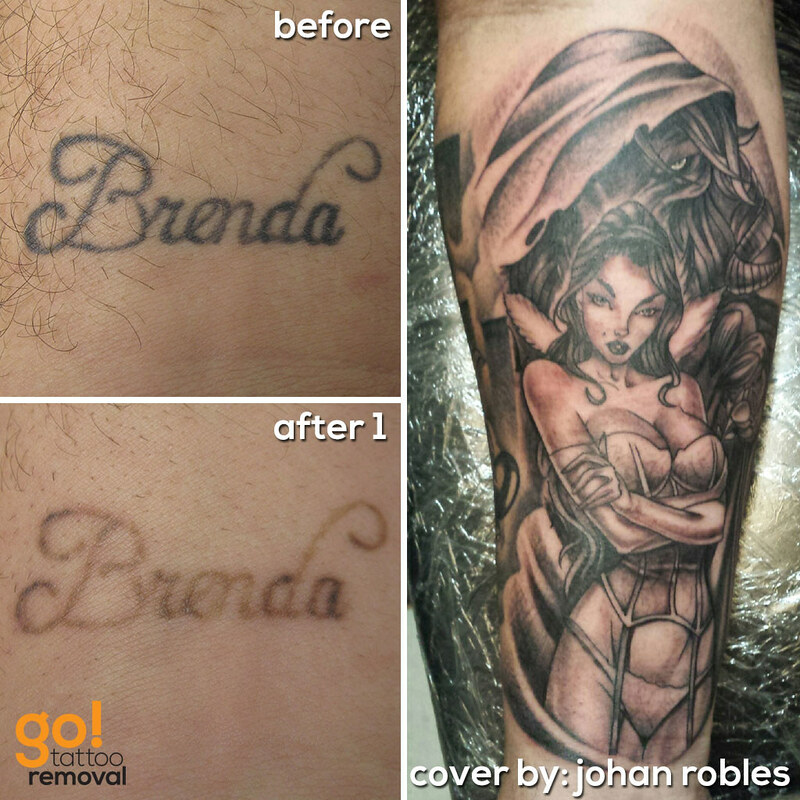 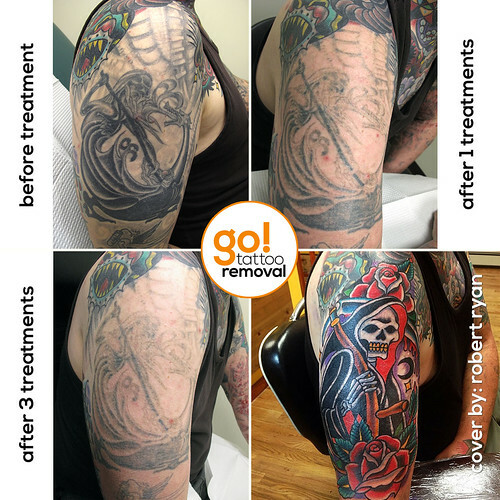 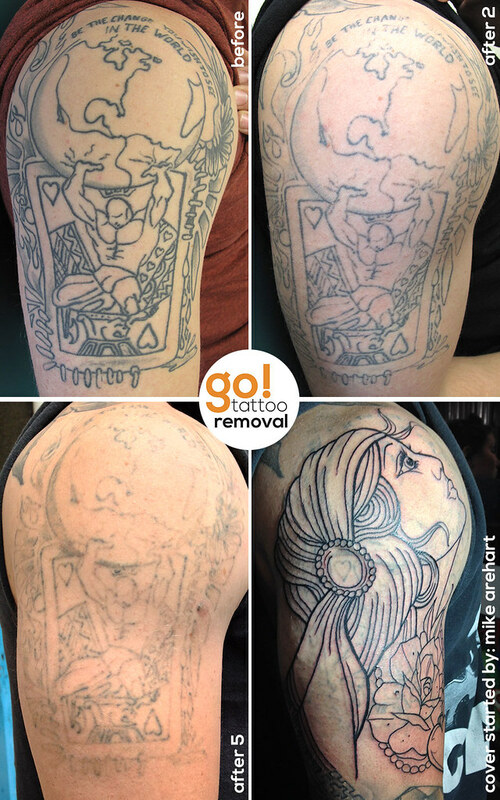 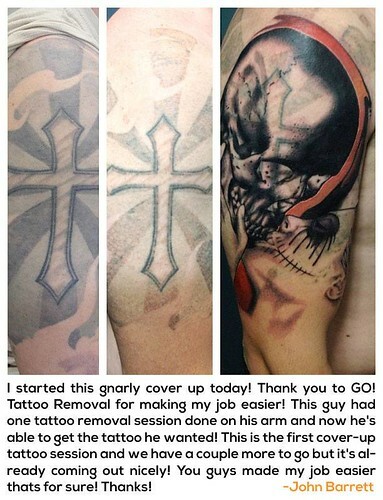 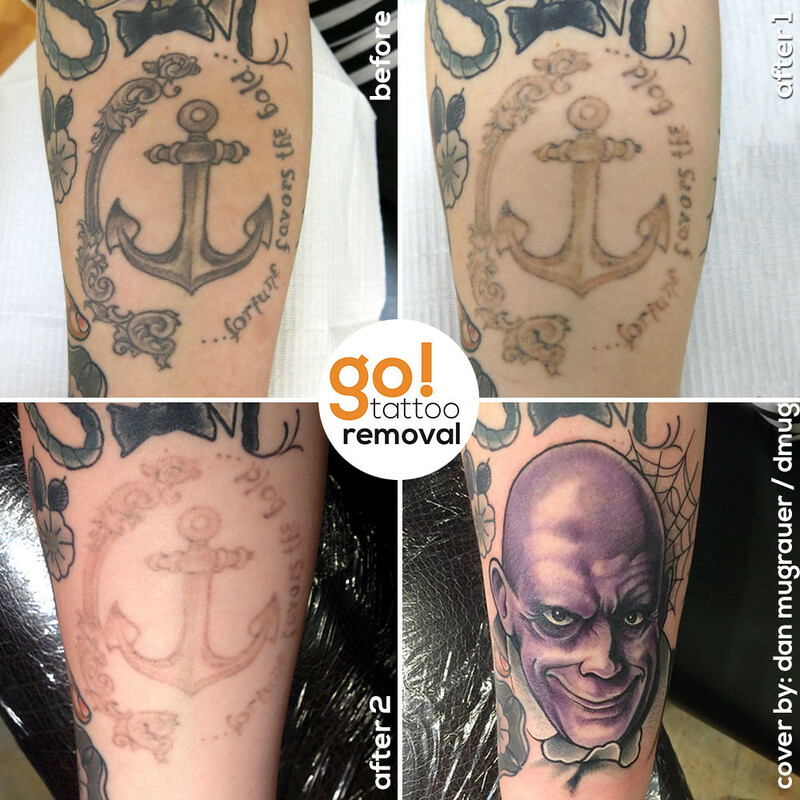 Many of our clients don’t come for full laser tattoo removal, rather they choose to have a few tattoo removal treatments and then get a new piece of art over the existing one. 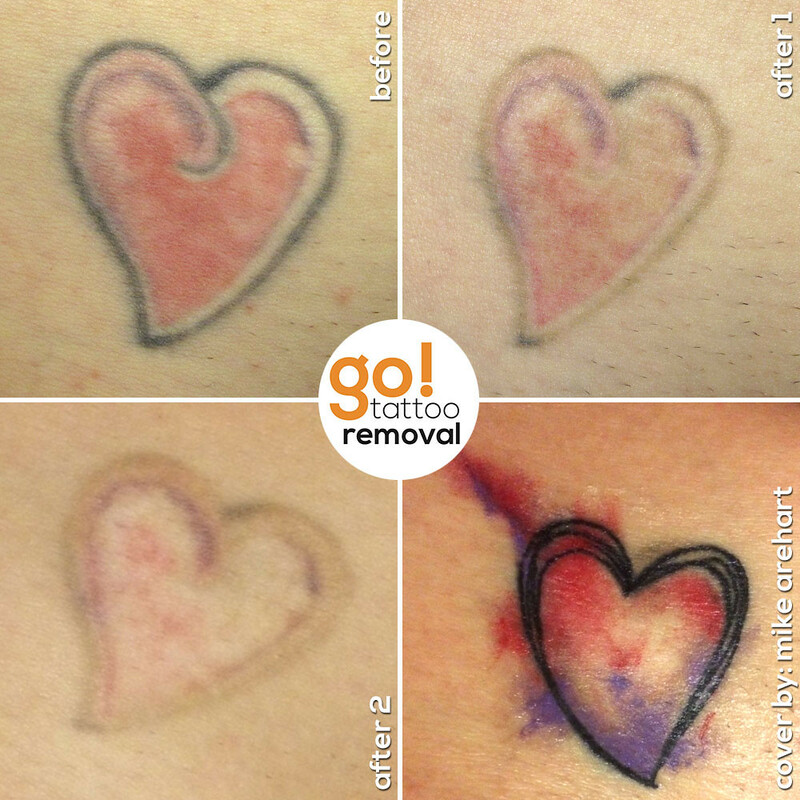 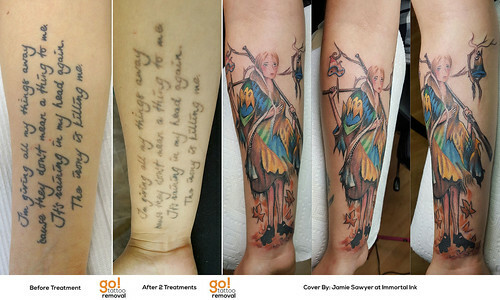 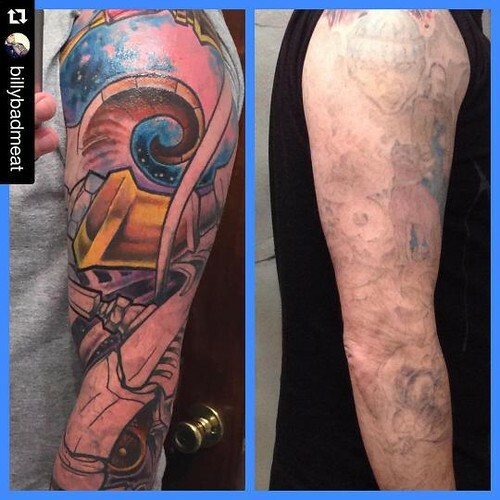 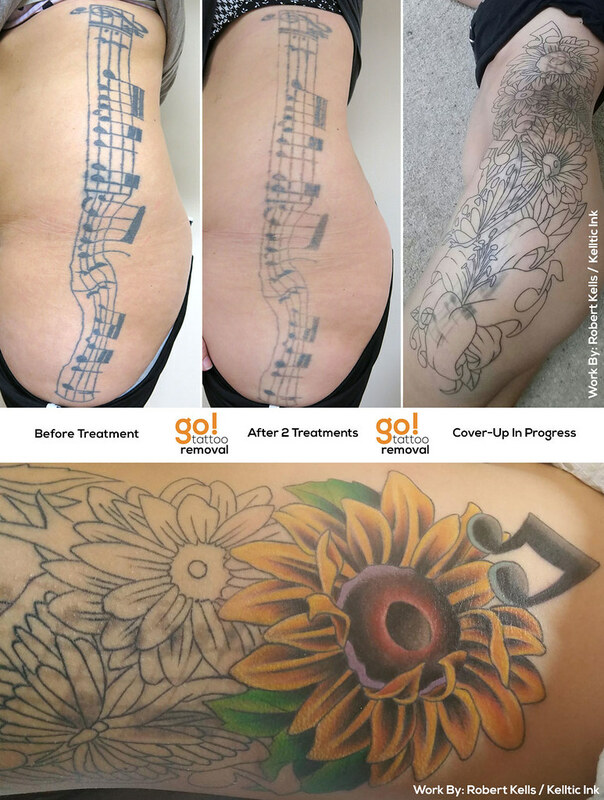 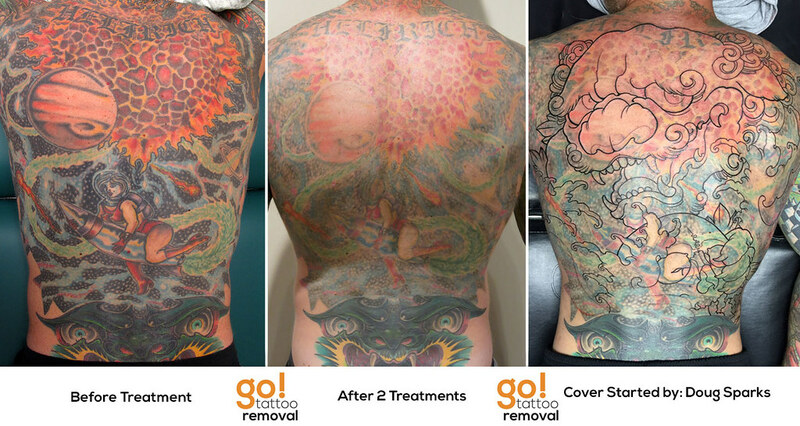 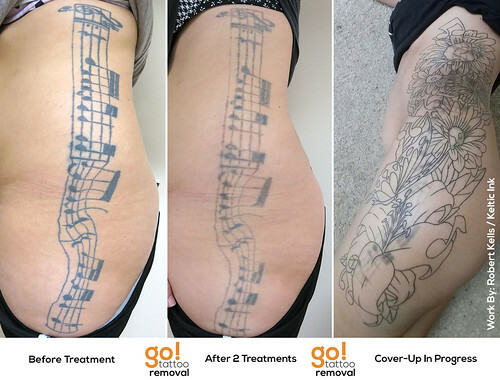 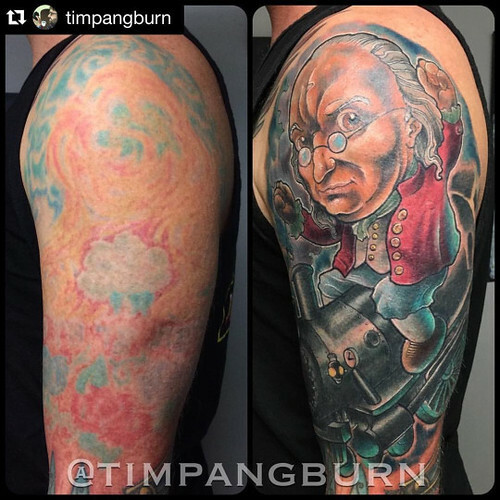 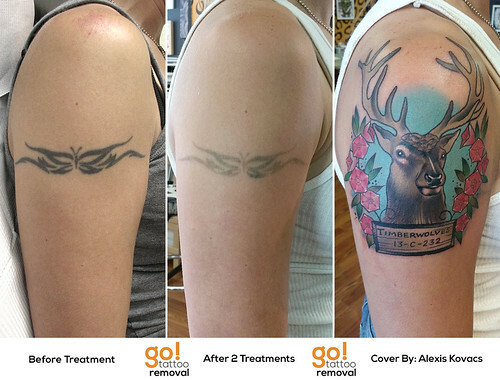 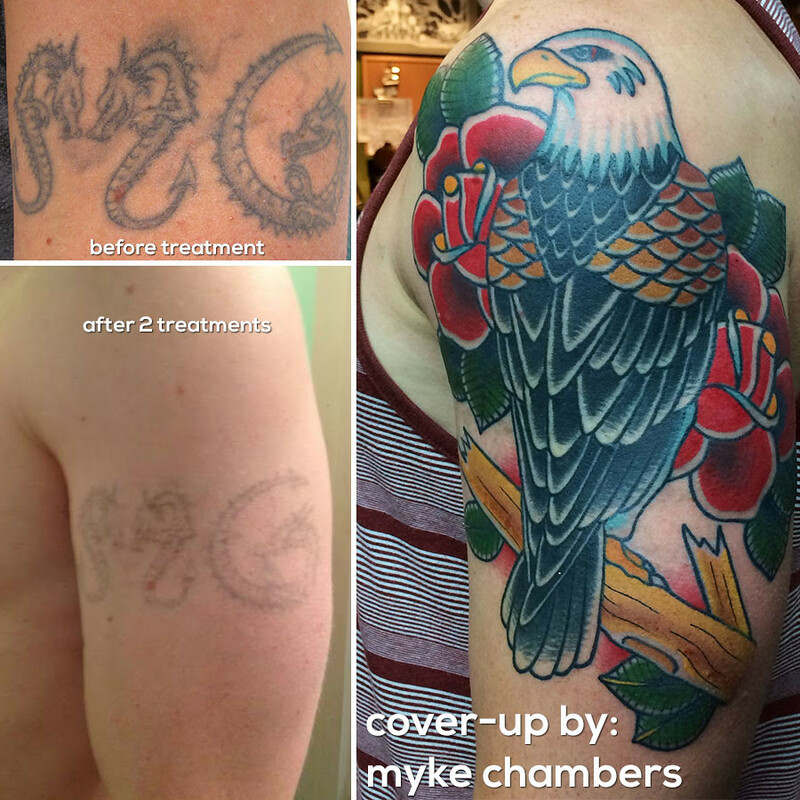 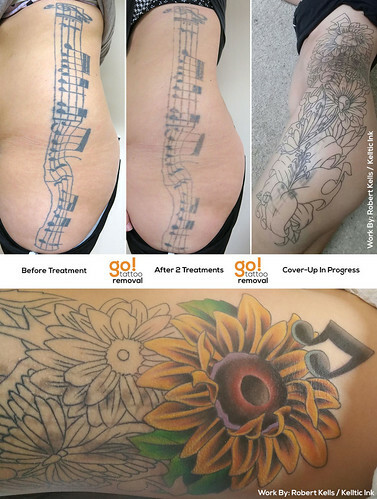 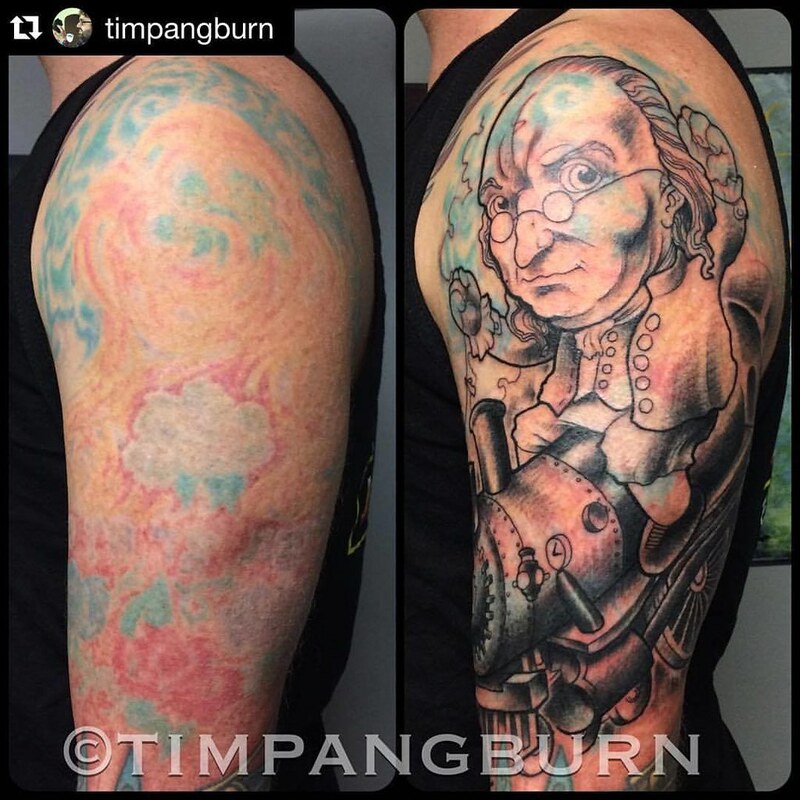 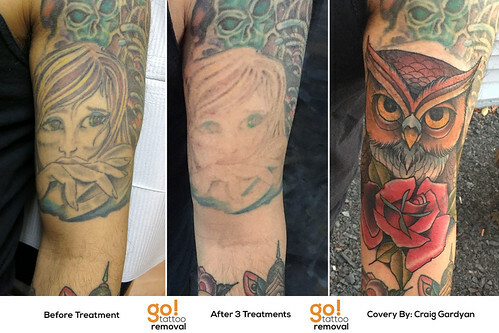 Choosing to have an existing or unfinished tattoo faded prior to a cover-up will allow your artist more freedom to give you the tattoo you truly want without compromise to overall size or pigment density. 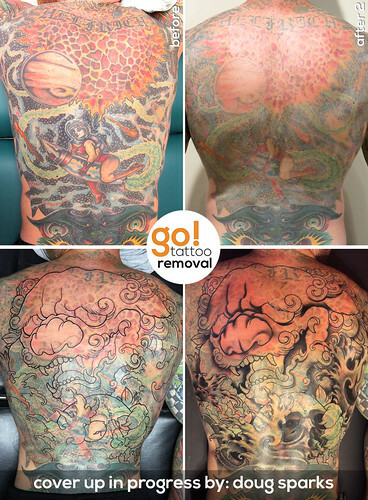 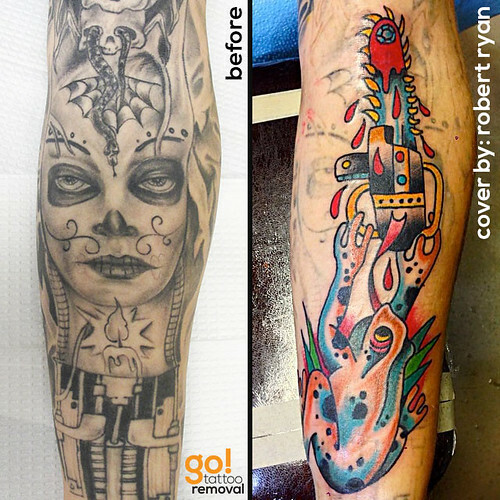 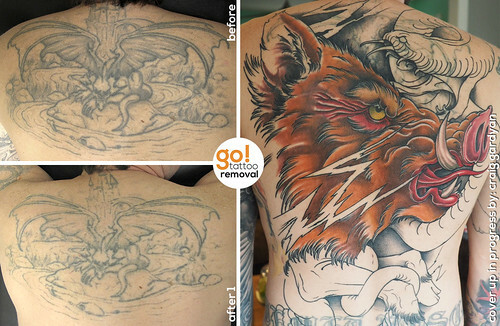 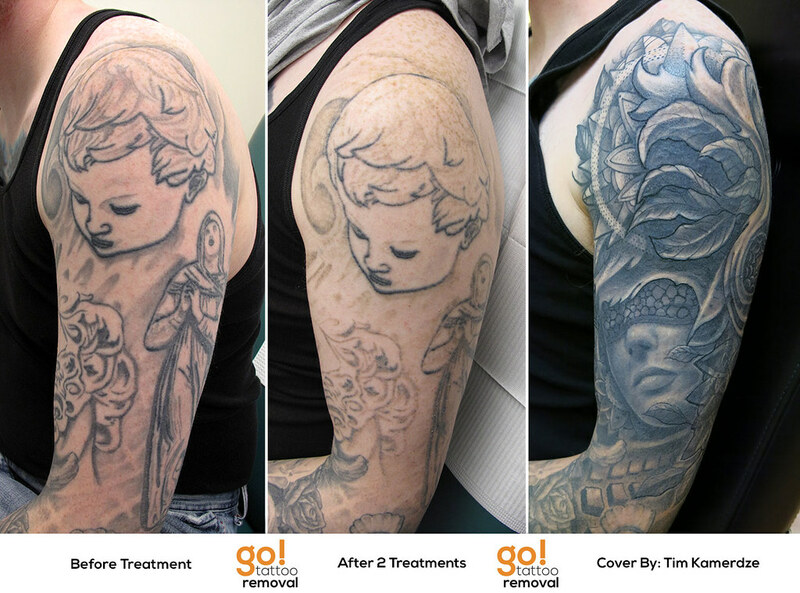 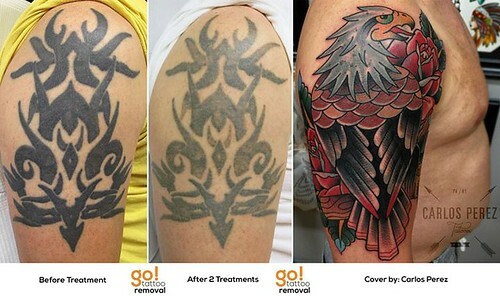 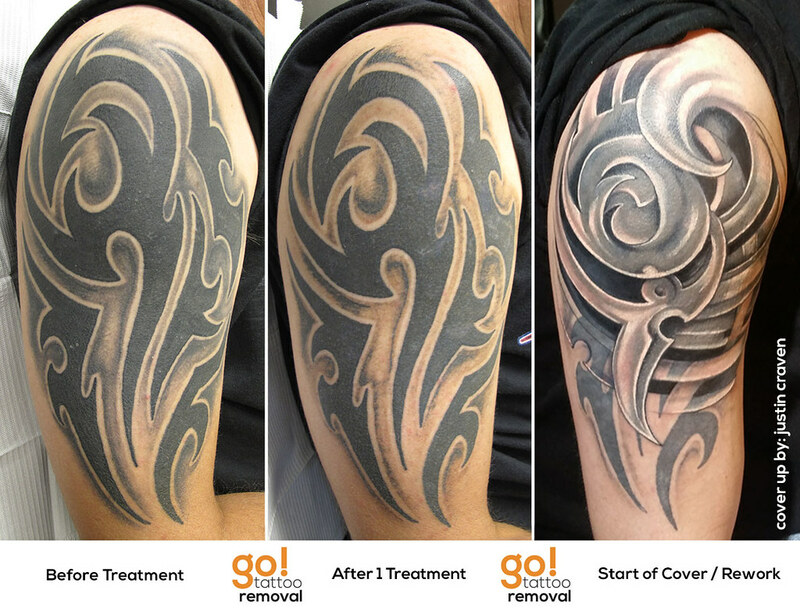 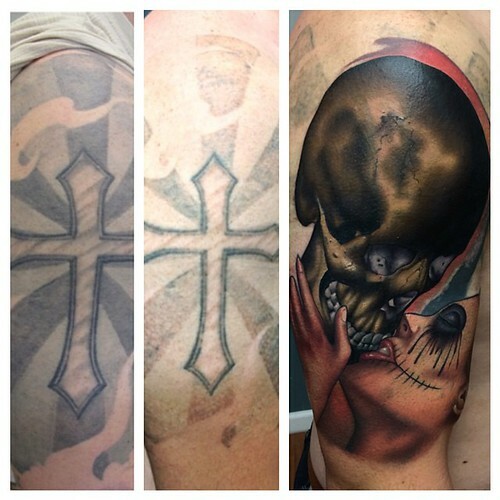 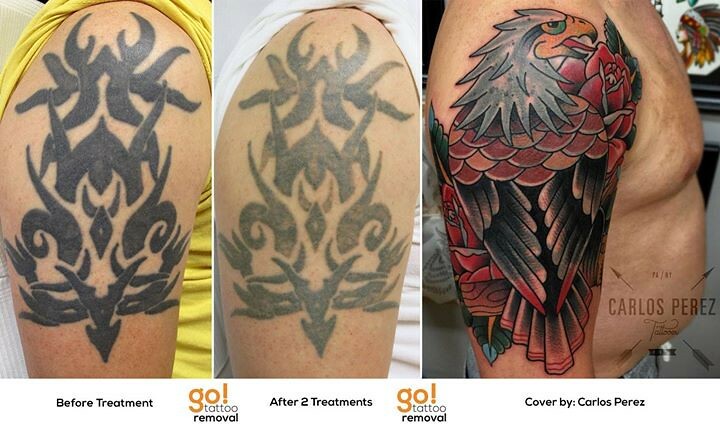 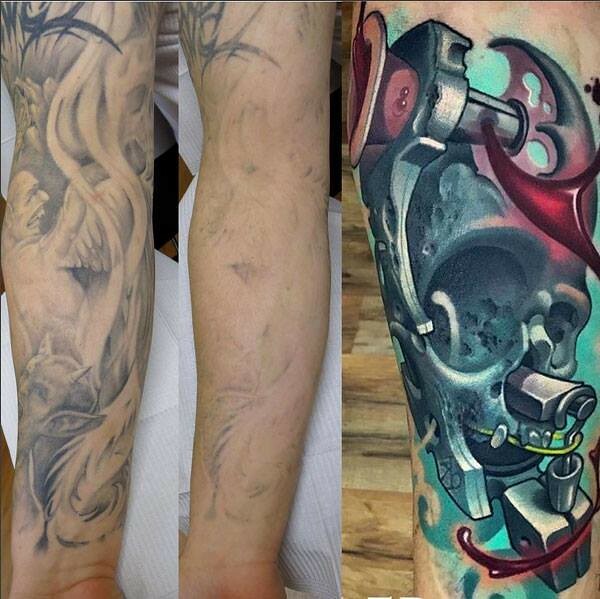 Here are several examples of tattoos we faded and clients then had covered with something new and different.